Looks like there’s something to the Bryce Harper rumors after all. 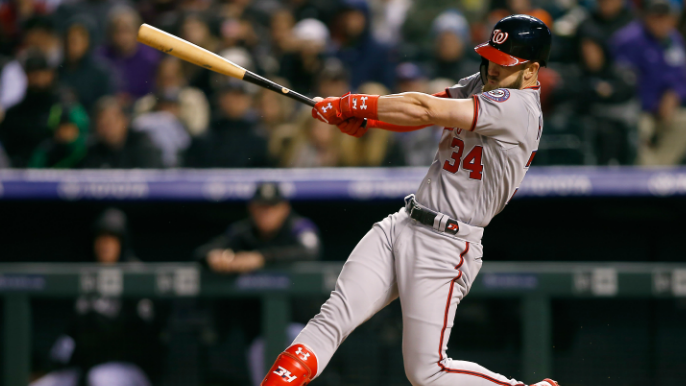 Giants VP of Baseball Operations Farhan Zaidi confirmed to reporters on Friday that there is mutual interest between the club and Harper, and that the two sides met for a few hours earlier this week. Zaidi also confirmed that the club is looking to add more than one experienced outfielder this offseason. Farhan Zaidi said the Giants still plan to add multiple experienced outfielders before the season. There’s mutual interest with Bryce Harper and Zaidi said their meeting lasted for a few hours. Via Alex Pavlovic, Zaidi joked that he couldn’t deny the meeting after a photo surfaced of Larry Baer in a casino. Buster Posey seems to be on board as well. Harper to the Giants didn’t seem to be a realistic possibility this offseason, with Zaidi implying on multiple occasions that breaking the bank for a big name player probably wasn’t the best course of action when it came to turning around a club with questionable depth at both the major and minor league levels. It appears that has happened.